Serena Williams continues to defy the age curve, winning the Wimbledon women's singles title earlier today. 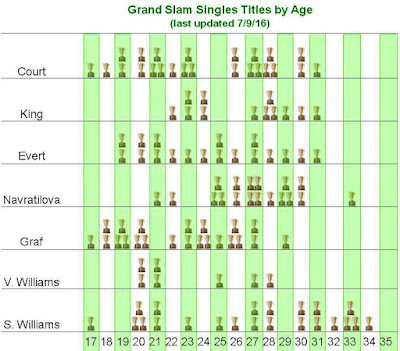 At 34 years old (born September 26, 1981), Williams is now the oldest player, woman or man, to win a Wimbledon singles championship, overtaking Martina Navratilova (33 years, 8 months when she captured her final title in 1990). 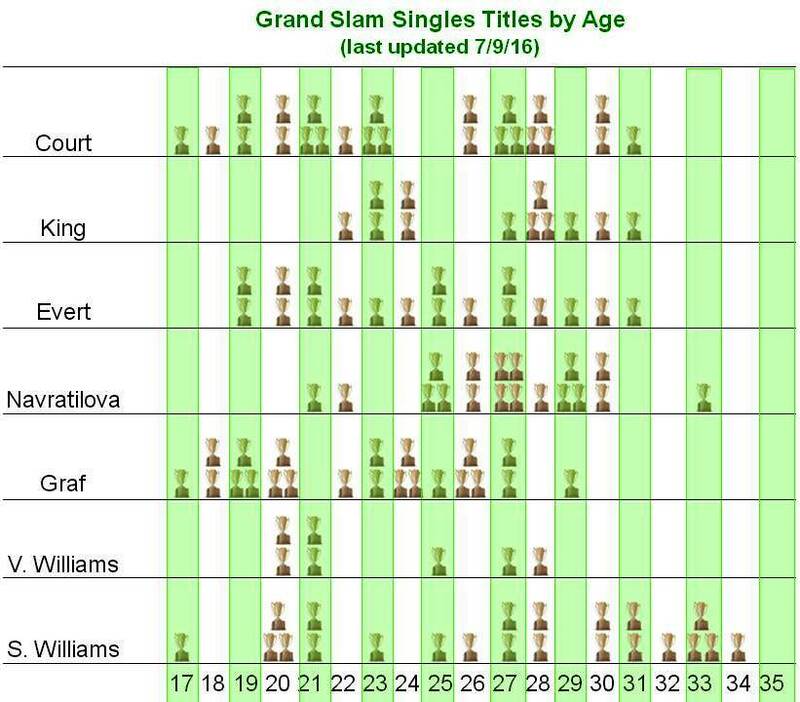 Accordingly, I have updated the age chart of women's tennis greats that I have displayed on this site from time to time. What’s Up (Or In This Case, Down) With the Cubs?